Getting enough iron is essential for good health and wellbeing. Iron helps to carry oxygen in your blood from your lungs to your brain and muscles. This helps to keep you physically and mentally strong. If you don't get enough iron, you will feel tired, faint, and breathless, and you might find it hard to concentrate. Your skin might also be pale. people on restrictive or fad diets. If you think you are low in iron, talk to your GP or practice nurse, as the only way to diagnose iron deficiency is through a blood test. You can't treat iron deficiency by diet alone, so if you are low in iron your doctor may prescribe an iron supplement. But even if you are prescribed a supplement, it is still important to get enough iron in your diet. Your doctor will also treat whatever is causing your iron deficiency. The redder the meat the higher the iron content. 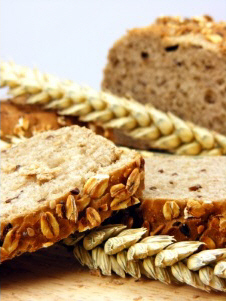 grain foods – choose mostly wholegrain and those naturally high in fibre. Have a serving of lean red meat at least three times a week. A serving is the size and thickness of the palm of your hand. Eat meat, chicken or fish and vegetables together. Meat, chicken and fish help the body to absorb the iron in vegetables. 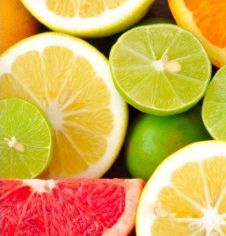 Vitamin C helps us to absorb up to four times as much iron. You can get vitamin C from many fruits (berries, feijoas, kiwifruit, mandarin, orange, rock melon, tamarillo) and vegetables (broccoli, capsicum, cauliflower, tomato). Try to include fruit or vegetables with every meal, especially if you are vegetarian. Have plenty of green leafy vegetables and wholegrains, and regularly include eggs, legumes, tofu, tempeh, nuts and seeds. The tannin in tea and coffee stops your body from absorbing as much iron. Drink tea and coffee between meals rather than with meals.